Last year my family and I spent a few days in Charlotte, NC. We played at the Discovery Place Science Center, explored the NASCAR Hall of Fame and ate at some fantastic restaurants. One of my favorites restaurants was Pikes Old Fashioned Soda Shop. They had to die for honey pecan crusted chicken and the dessert to end all desserts for me…. 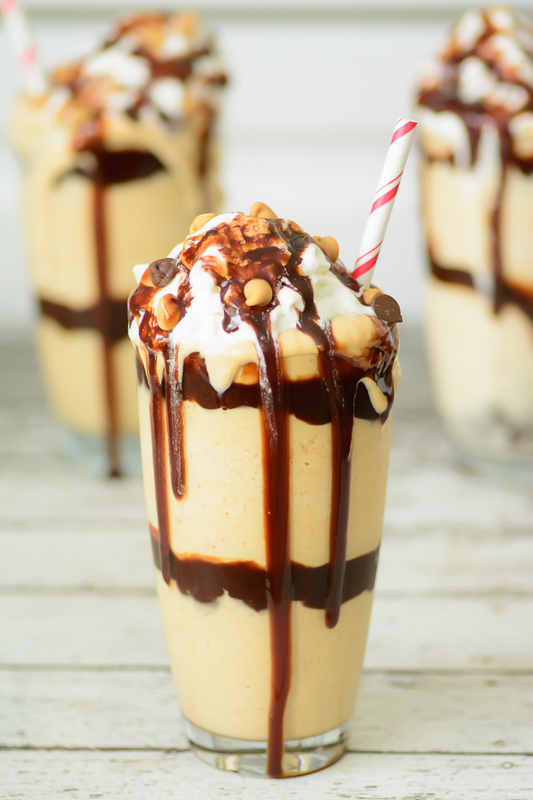 a chocolate peanut butter milkshake. Since I have an addiction to all things chocolate and peanut butter, it was imperative for me to try this glorious concoction. It was really everything that I hoped it would be and more. 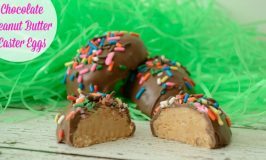 It was just what an addict like me needed, a hit of chocolate peanut butter crack. The problem with finding something so delectable while traveling is that once you leave a city, all the yumminess stays in the city and the treat becomes a distant memory. I couldn’t let that happen. I decided that a chocolate peanut butter milkshake was worth the effort of recreating in my kitchen so I got to it. 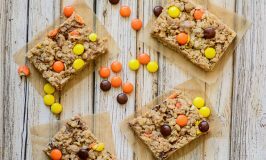 Lucky for me it was pretty easy to whip up something just as good right in my kitchen. I just needed some good ice cream (I use Breyer’s because I can pronounce all the ingredients in it) some milk, some peanut butter and some chocolate syrup. Oh and some whipped cream and peanut butter chips just to make it look like I got it in a fancy ice cream shop. 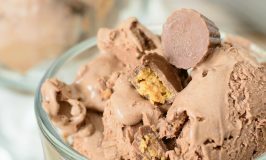 Put ice cream, peanut butter and milk in a blender. 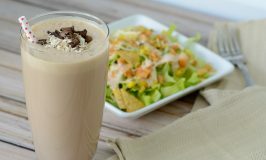 Layer the chocolate syrup with the milk shake and top with whipped cream, chocolate syrup and peanut butter chips. 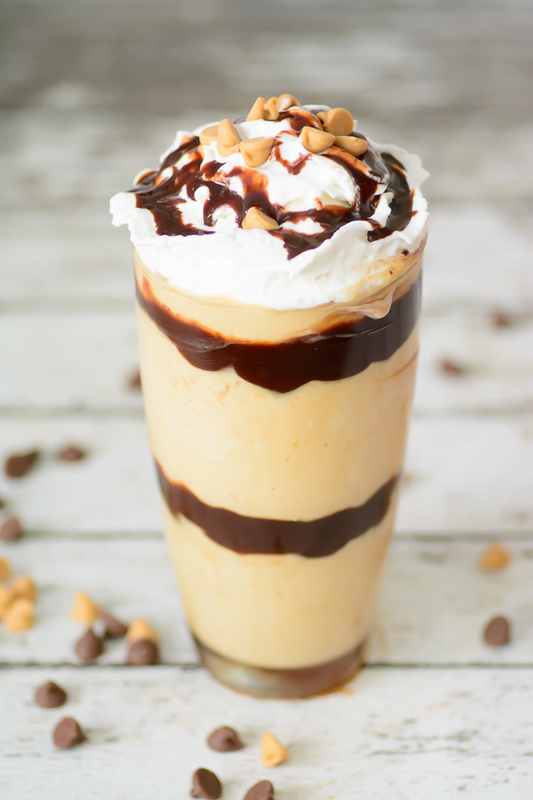 Hope you love this Chocolate Peanut Butter Milkshake as much as I do! Enjoy! 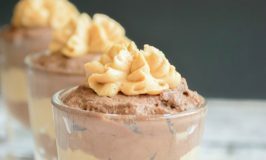 Chocolate peanut butter in decadent milkshake form! Could it get any better? 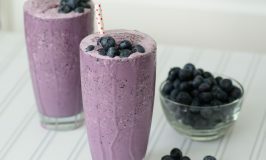 This milkshake sounds absolutely amazing!! !